So, why an Astrologer needed to write an Article on Meditation and that too on such a hidden branch of Meditation? You will come to know the great part of answer to this query while going through this Article but apparently Meditation helps in improving intuition and intuition is the only thing which can’t be taught by anyone. A person has it or he doesn’t have it. As a student of Astrology, no one can teach you how to be intuitive? But if you have it then it can be further developed through Meditation. Otherwise also, most of us are well aware of the benefits of Meditation for our Mental Health. Let’s see what all these points have in store for us. 1. 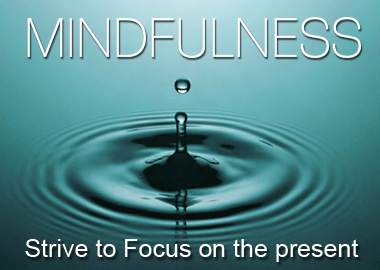 Meditation – The word Meditation has origin in the word Medication. Medication is for Physical Health, whereas Meditation is for Mental Health. As time progressed, different ways of Meditation has come to surface. Different Spiritual Gurus and their followers have developed their own branch of Meditation. This lead not only to Professionalization of a Spiritual Art but also lead to idiotic wars between followers of different branches of Meditation about which branch is better. It is same way as different Religion’s followers fight that which Religion is better. The root of all these wars is in the age old desire of one man to over-power the other, either physically or psychologically. More hilarious is to see certification courses and claims of several Gurus on YouTube videos that they can “teach how to get enlightened” through their videos on meditation. So in this market of Meditation, I happened to read about Mindfulness or Mindful Meditation and found it very easy, practical and not yet professionalized by people, as it can’t be. I tried this branch of meditation by myself in last 3-4 months and saw great results in my basic behaviour. Hence, I decided to write about it and let you all know. As we all know, one way or the other, all branches of Meditation teach us to guide our senses towards Super-Consciousness. Actually, the common thread between all the people who claimed to be enlightened (from Zarathustra to Osho Rajneesh) was that they were all in Meditative State at that time. And yes, I include Muhammed and Jesus also in the list who were meditating at the time of their enlightenment. So, Meditation’s basic job is to guide our senses towards higher conscious level. Now, it is necessary to understand Senses. •	Please don’t misunderstand guiding of senses as controlling/repressing of senses. History is full of people who tried to repress or control sense organs and failed miserably. Guiding Sight doesn’t mean Controlling Sight or living as blindfolded. Best example I can give here is of Bhagwad Geeta which started with Dhritirashtra asking Sanjay about the events of Kurukshetra. So, even a blind man wanted to see. So, losing a sense of sight doesn’t mean that your desire of sight is also lost. By controlling senses, you can only put a veil over it but underneath it, senses will still work and function as per the desires of soul. •	Now, 1st step towards guiding senses is to know what the function of senses is, because then only we can know if our senses are guided or misguided? So, senses are the gateways or doors of information for human body. It means their only job is to send information to mind and heart as to what is seen, tasted, touched, heard or smelt. So, as long as a sense is working as an incoming organ of information for body, it is a guided sense. It means that whatever I am seeing, if that information reaches to mind then it is a guided sense organ working. But if I have a desire to see/hear/taste/touch/smell something and sense organ gets occupied in frantically or obsessively searching for that object or person, then it is a misguided sense organ. So, in modern day understanding, Senses should work as incoming instrument, and not outgoing instrument. This is the difference between Guided Senses and Misguided Senses. •	Third point is the base or foundation of Mindful Meditation. So, throughout our life, we live as guided by senses and it is because we have identified ourselves as senses only. Pay attention that we daily say that I am hungry at lunch/dinner time. Now, is it me who is hungry or is it just stomach which felt hunger and it sent information to brain and then suddenly I attached myself to this feeling of hunger. Of course, I will be guided by senses if I identify them as me. All I am saying that there is a distinction between your body & your soul (real you) and it is not necessary to attach yourself to whatever body feels. Like, there is a Coconut. It has a Cover outside and then the real fruit inside and both can be separated easily. Likewise, it is just a matter of separating yourself from your bodily feelings and after few days you will feel the presence of real you inside, as it happened to me. We will do a great favour to ourselves if we start looking at everything in life from a distance as a 3rd person. We will see this point in detail in point 5 now. •	I move out of a room & go to another one and then I think if I switched off the light and fan of other room or not? Well, who moved out? Where was the mind when I moved out? Why I don’t remember if I switched off or not? It is because Mind was somewhere else at that time and hand might have mechanically switched off the fan without any attention to mind. Likewise, when we work in Kitchen. Utensils fall off the hands. It is an ordinary scene at every home but why is it happening? Because Utensils are in the hands but mind is neither on hands nor on Utensils. In 99.99% accident cases, our hands mechanically drive the vehicle but our mind is somewhere else. A person is used to smoking. When he feels the urge, his hand mechanically goes to Packet, Cigarette mechanically comes out and he put it on his mouth while his mind is thinking something else. The only time he comes back into the moment is when he wants a lighter to light it up. So, mind is always away from where we are. •	Once an enlightened Guru was asked by a common man that what he does so special that he is enlightened? Guru replied, when I feel hungry, I eat and when I feel sleeping, I go to sleep. Man said, I also do the same. What is so special? Guru replied, no, you don’t do this. When you eat, thousands of thoughts go in your mind. Your focus is not at all what you are eating. Eating is happening mechanically to you. Likewise, you go to sleep with thousands of thoughts of present, past and future. That is the difference. •	When Buddha got enlightened and Sujata gave him 1st fruit to eat after enlightenment, he said, if we fully focus on this fruit while eating it, we will realize the experience of whole existence. •	Recently I received a message of Sadhguru, in which he addressed to the listeners that even if you listen to him for one minute, you will be enlightened. The statement was followed by applause by audience. But as I understand, it was not as simple thing as it looks. Understand it in reverse way that he meant to say that we people can’t listen to him for even one minute, attentively. And that’s how we come to Mindfulness. •	Vishal got up in the morning and I am watching Vishal getting up. •	Vishal went for a walk and I am watching Vishal walking. •	Vishal is reading news paper and I am watching Vishal reading. •	Vishal is having breakfast and I am watching Vishal eating. Like this, go through whole day while watching/observing yourself as a 3rd person. Of course, it will be tough and you will forget many times in a day and you will again & again attach yourself with senses but you just need to continue doing it till it becomes your habit. Like this, not only you will remain in moment 24x7, aware of everything going around yourself, but you will also be able to realize that there is actually another person inside you who is real you. Common sense says that your name, religion, caste, language etc are just a coincidence because of your birth in a family. If same soul was born in some other country, you would have had a completely different worldly identity. But in between all this, the seed/soul remains the same. This is one of the way by which you can wake your soul up as it has become dormant due to your continuous mechanical attachment to sense organs. •	As I said, it is easiest way to keep yourself in present moment. You just need to observe yourself as a third person at what you are doing at that moment. Like this, you will be aware of everything. If you are able to do this perfectly then you will realize that so far you were doing many things mechanically in your daily life and from now onwards, nothing will happen mechanical in your life. •	As you are aware of everything going around, there will be no mistakes, confirmations, rechecking. •	So, how does it feel if someone tells you that you are being egoistic, angry or greedy? It doesn’t feel great, right? Now, how it would be if I observe myself and say that “Vishal is egoistic, angry & greedy and I am watching it”? Ego, Anger and Greed will drop instantly. And for me, this is the best benefit of Mindful Meditation. You can’t do anything wrong as you are being watched by yourself. Anything wrong happens when a person is able to kill his consciousness. This is the way by which you are again being Conscious of real you and hence, no wrong actions can be taken by you. This is my own experience. I have a habit of getting angry when same thing is asked by same person twice/thrice. Then I started mindful meditation and to begin with, I started observing that I do get angry and then suddenly one day, as I was about to get angry at someone for asking the same question thrice, I felt a realization from inside which told me that I am about to get angry and the next moment anger dropped. That was my 1st experience that it really works and I realized that there is some power inside me which can guide my senses. I felt a clear split between my body & senses and that inner voice. As if someone sitting inside me stopped me from getting angry. So, it worked for me at least, after 3-4 months of practice. •	And of course, this can lead you to the path of self-realization. 6. Conclusion – To conclude, I can only say that this is an easy way by which you can reach the higher conscious state without being dependent on any person or agency. Here, I am not undermining the value of a Guru in life but it only means that as it is 24x7 process, you need to do it by yourself only. It gives an easy way to be in moment 24x7. Be Mindful. Be Alert. Be Aware. Be Meditative. Be Conscious. Be a Witness to Yourself. Hope I could explain it in an understandable way. It is as lucidly as explained as anyone possibly can.